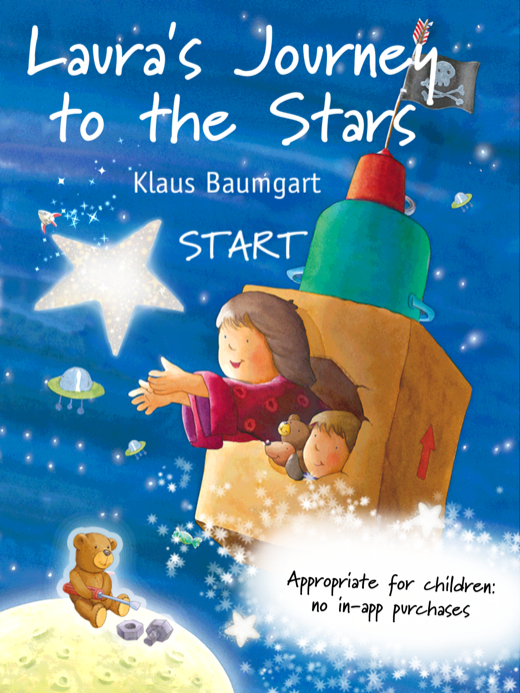 Bring your child’s imagination to life with Laura’s Journey to the Stars. 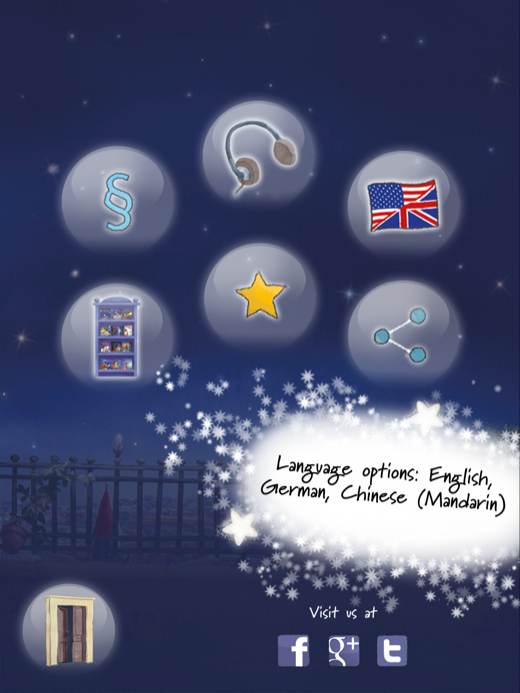 In the new interactive storybook app from Bastei Entertainment, children are taken on an astronomical adventure across the sky with Laura and her little brother Tommy. My almost 3-year-old daughter is a seasoned app user! Interactive storybook apps tend to be her favorite, so I was excited for her to get a chance to checkout this app. On first appearances, I was impressed by the beautifully drawn illustrations by the popular children’s book illustrator Klaus Baumgart. 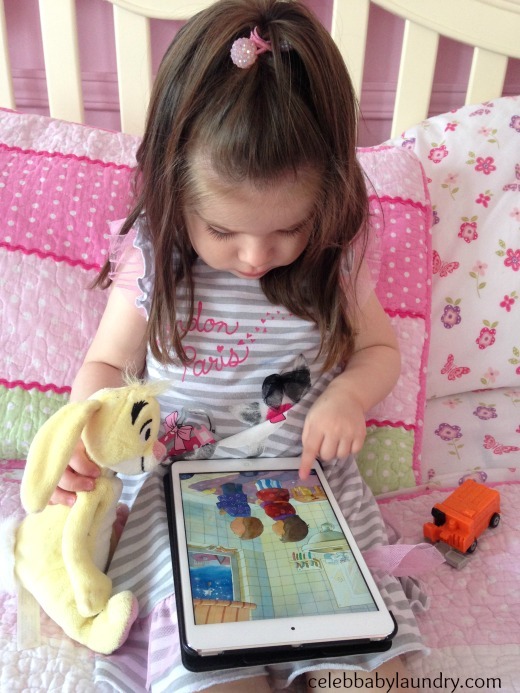 The illustrations and the music give the app a welcoming and soothing feel which is perfect for young children. My daughter enjoyed the app best before bedtime. The story not only highlights the importance of imagination, but the the love and friendship between siblings. The two siblings go on an adventure together and have a unique friendship. At the end of the story, their mom finds them in the makeshift spaceship and tells them they must have fallen asleep. The two laugh with one another because there are just some things moms don’t understand! They know they went on adventure together and even agree to travel again the next night. The narration complements the overall calming feel of the story. The storyteller for the english version narrates clearly and slow enough for young children to follow along. The story is also narrated in German, and Mandarin Chinese by native speakers. Children can tap their finger on over 80 animated scenes that make clever sound effects and movement. The animation is fun and really helps keep children interested in the story. My daughter throughly enjoyed the animation and it was one of her favorite features of the app. Some of the objects also take children to another interactive screen. In one scene, when tapping the mirror children can help wipe the foggy mirror while Laura brushes her teeth. Other objects take children to engaging mini games that help them learn various skills – direction, matching and memory. The interface of the app was made with small children in mind. The controls are intuitive and meant to be child-friendly. To ease the mind of parents there are no in-app purchases. Social media sharing, volume, language controls, and the library panel are accessible via the title page’s teddy bear. This area is secure, so children cannot gain access. Laura’s Journey to the Stars is available now for purchase for $2.99 in the iTunes App Store – Google Play Store – Samsung Apps – Amazon. Disclosure: Although this post has been generously sponsored by Bastei Entertainment, the opinions and language are all my own, and in no way do they reflect Bastei Entertainment.